Two young cousins, Ethan and Calum (Cal), spend their summer vacations and holidays at their grandparent's ranch in the Texas Hill Country. 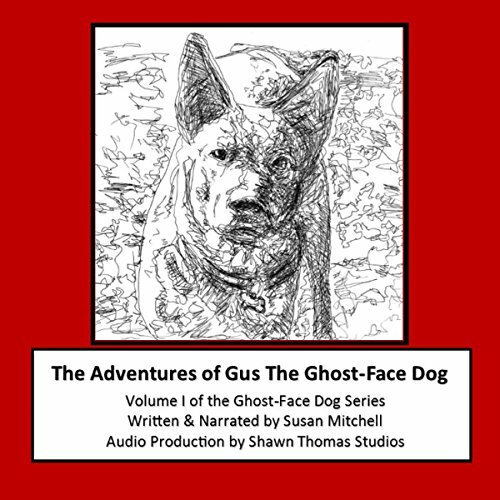 In this book, Ethan finds a Blue Heeler puppy with a gray, ghost-like face, and names him Gus the Ghost-Face Dog. Cal already has a huge yellow Labrador Retriever named Luke. The boys and their dogs go on many adventures together on the huge ranch, where they learn interesting facts about history and the natural environment of the area. They help capture cattle rustlers and have a close call with coyotes. Throughout the book, the boys make many interesting discoveries and they help the town by solving crimes. Ethan and Gus travel back in time, to the days of the pioneers, where they avert an Indian uprising and help the early settlers. The boys learn about responsibility and bravery. They help their grandparents with the chores on the ranch and Gus rounds up the cows. There is never a dull moment with Gus, Luke, Ethan, and Cal, along with their younger siblings Logan, Cara, and Elyssa. They are all heroes. There will be more great adventures to come!